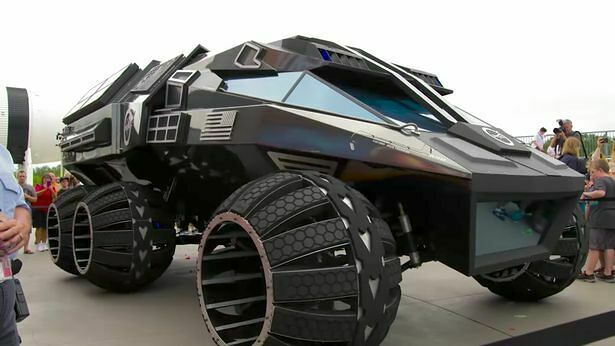 It seems whoever designed the new NASA Mars Rover has been watching some Batman movies. 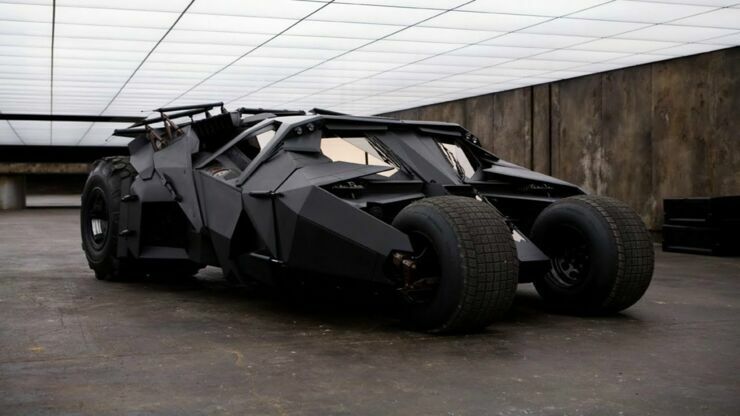 Because the new concept design for the vehicle looks just like the Batman’s Tumbler from The Dark Knight. 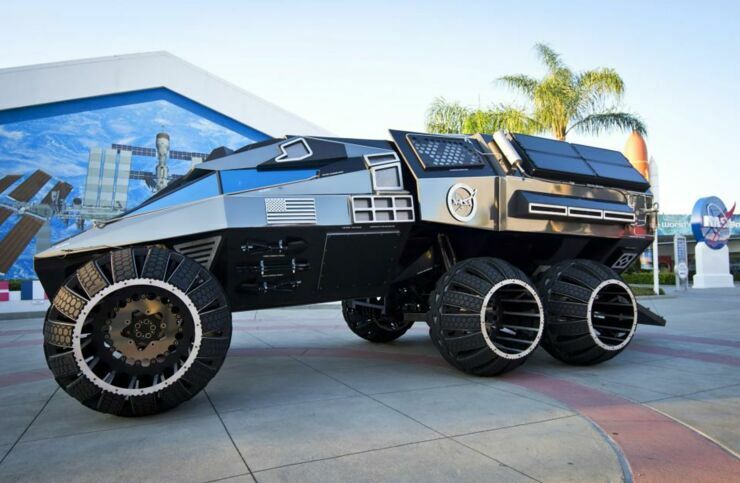 The impressive futuristic vehicle is currently on display at the Kennedy Space Center Visitor Complex. If the Mars Rover Concept looks looks a bit too much like it belongs on a movie lot then you might be right, it's unlikely that this model will ever be used on the surface of the red planet. The concept exploration vehicle wasn’t actually funded or even designed by NASA, instead the project was designed by US based Parker Brothers Concepts of Port Canaveral, Florida using input and comprehensive specifications provided by experts at NASA. The Mars Rover has been built to promote the center's Summer of Mars program and operates using an electric motor which is powered by solar panels and a 700-volt battery. It measures 28 feet long, and the builders claim that the vehicle will do 60 to 70 MPH across the surface of the red planet. The front end of the Mars Rover also separates for scouting purposes and comes equipped with radio Global Positioning System navigation. The rear of the Mars Rover is a laboratory which is able to disconnect so it can carry out autonomous research. 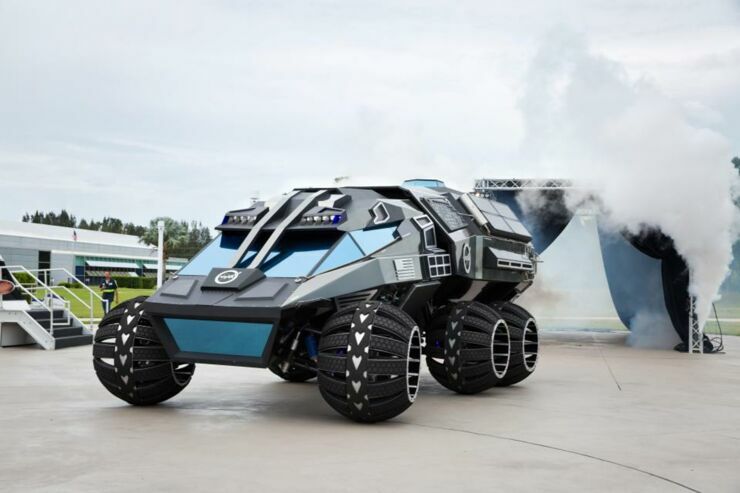 "While this exact rover is not expected to operate on Mars," says a NASA blog post. "One or more of its elements could make its way into a rover astronauts will drive on the Red Planet." The Summer of Mars program has been designed to educate people about NASA's explorations of Mars so far, along with what's planned for the future. The next NASA Mars Rover, which will be a robotic one, is due to land on the planet in 2020. It will look for signs of microbial life that may have existed there, collecting core samples which it can potentially bring back to Earth. 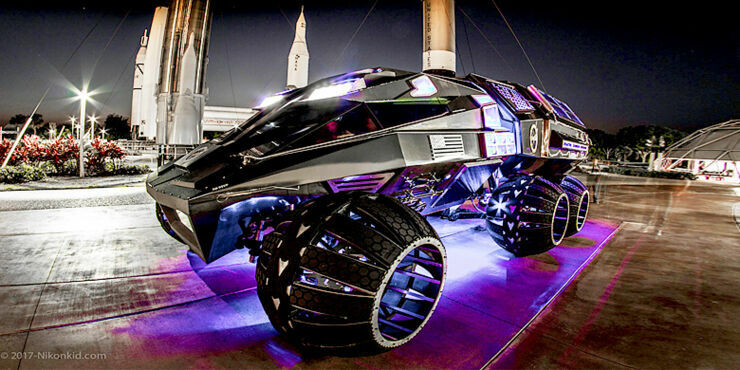 The NASA Mars Rover Concept. 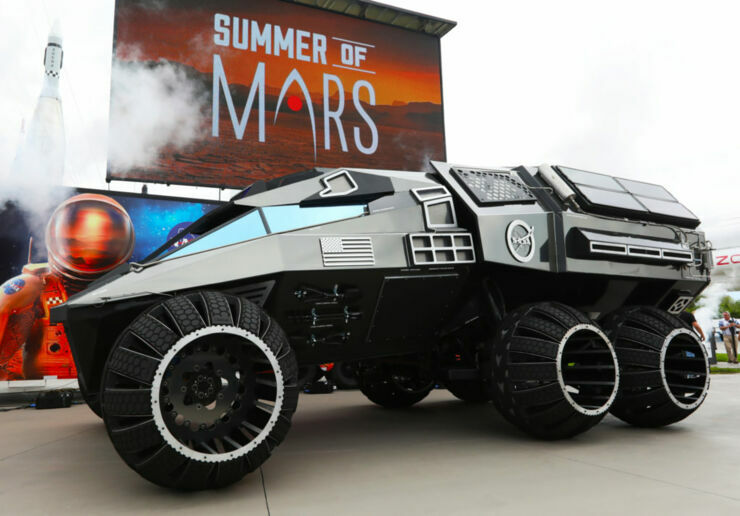 Kennedy Space Center Visitor Complex kicked off the Summer of Mars on June 5, 2017 with Astronauts Scott Kelly, Jon McBride and the reveal of the Mars Rover Concept Vehicle. Could NASA&apos;s Images Of Strange Sand Dunes On Mars Actually Be Morse Code Left By Aliens?